Use the chronological resume format wisely, because it's not always your best choice. 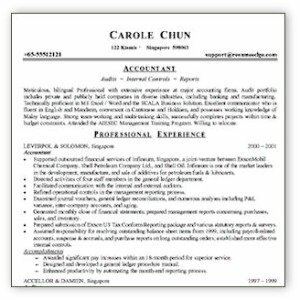 This type of resume format is the traditional, and still most common, format. It's also the easiest to write. You organize it in reverse order by employer, with your most recent job listed first. When you've worked steadily and consistently with no major gaps in employment. When your job history shows that you've moved up in responsibility steadily. When you've held standard, well-recognized jobs for well-known companies. When your most significant achievements have occurred recently. When this format is expected for your particular career. 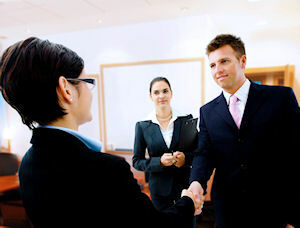 Since this format emphasizes your work history, then be sure your information is absolutely accurate. Use exact dates of employment and termination if you can, or at least use the month and year both. Provide more information for the first couple of jobs, since this is your most relevant experience. Don't list the fast food job you held in high school if you're 10 or more years into your adult career. It's just not relevant. If you've held many jobs within a short time period, a chronological resume may not be your best choice because it may look as though you've job hopped or that you didn't have much loyalty to your employers. It's also not the best choice for someone new to the workforce, or someone coming back into the job market after a number of years, such as a mother who stopped working to raise children and is now returning to work. In those cases, and others detailed below, a functional resume format may present a more positive picture.